Deploy ThingWorx industrial IoT on Microsoft’s leading cloud infrastructure to accelerate your company’s digital transformation with unprecedented speed, scale, and security. Manufacturing and industrial companies are digitally transforming with the IIoT, and exponentially expanding the scope of that transformation with cloud services. But success requires the right approach—which starts by asking the right questions. Learn how Colfax is using PTC’s ThingWorx and Microsoft Azure to reduce service costs, bring new products to market faster, and introduce new revenue streams. ThingWorx not only supports our existing businesses, but can also contribute to more rapid integration of acquisitions. With ThingWorx and Microsoft Azure IoT, we can focus more on what we do best and improve customer experience. 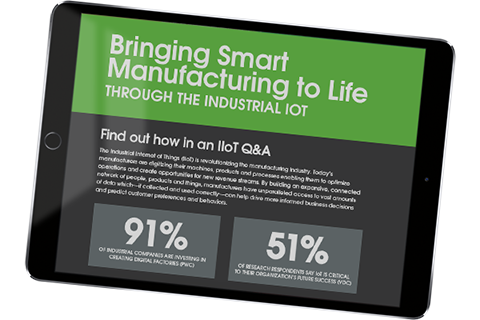 Manufacturers are using the IIoT to optimize operations and improve KPIs; and they are connecting operations data with enterprise systems via global cloud platforms—establishing the foundation for sustained growth in today’s competitive landscape. 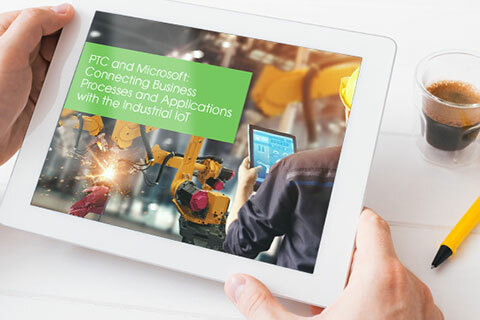 Download this eBook to discover how the combined solution from PTC and Microsoft is helping companies turn the IIoT into a gold mine of actionable data. Discover the industrial IoT technology with capabilities for achieving rapid deployment, meaningful ROIs and digital transformation. Add Azure IoT entities using ThingWorx Composer to represent your devices—and import device data into ThingWorx from an Azure IoT Hub. The Developer Portal offers software trials, guided tutorials, and community groups. Join today and start building with PTC and Microsoft technology. PTC and Microsoft can help transform how you create, operate, and service your products. Sign up to learn more about our partnership, products, and solutions—and to get exclusive announcements delivered to your inbox.